Coffee and Heels: ...and a Happy New Year! ...for a brighter future for our planet. ...for more compassion all around the world. ...for the end of all animal abuse. ...for more happy, fulfilled, serene people that fight for their dreams. ...for more girls to love themselves fiercely and fearlessly, just the way they are. ...that the Mayans meant a new beginning, not the end of the world. ...for my special project, Coffee and Heels, to take off into the clouds and become HUGE. ...to move to London. Finally. ...to break out on my own. ...to marry the love of my life. ...to become a more compassionate person. ...to engage more in the battle for a better planet and a true cruelty-free warrior! ...to finally veganize my diet. ...to go for my dreams, hopefully starting over and discovering yet a new place - again! Have an amazing night dear Coffee and Heels readers! ...and like Zooey and Joseph ask, "what are YOU doing New Year's Eve?" And say NO to fireworks tonight: they do endless damage, harm people and animals, and are really quite stupid. 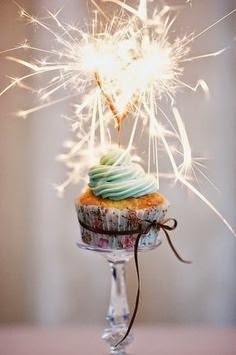 I wish you an amazing 2012 and may all your dreams come true! ti auguro che tutto quello che speri si avveri!!! mi unisco a te nella speranza che stasera si pensi meno a sparare i botti e più a preservare bambini e animali da traumi (o cose peggiori). come passerò il capodanno? stasera lavorerò (ma non mi dispiace affatto), mentre domani pranzerò con la famiglia! dato che io mi sposo tra un mesetto e so cosa significare bramare l'amore eterno sancito regolarmente con la propria metà, mi auguri quello che speri ti accada... per il totale vegetarianismo invece ti prego di ripensarci... ma veramente puoi pensare ad un mondo (anche Londinese) senza filetto?! Patalixe: sono vegetariana da 18 anni e sogno un mondo senza maltrattamenti e abusi, ma con tante salsicce di soia! You've got such amazing wishes and plans for 2012!!! Hope it all happens for you and for all of us!! !